Ezee Go disposable e-cigarette with Tobacco or Menthol flavor. Simple to use, with no charger or refills - just unwrap and you are ready to Go! 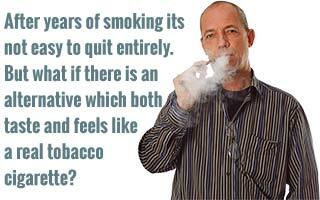 Choose between 0, 12 or 20 mg. of Nicotine. Shop now with even lower prices. The fantastic Ezee taste also comes in a rechargeable e-cigarette starter kit. Great if you want a long life e-cigarette and save money. Available in Tobacco and Menthol flavor with 0, 12 or 20 mg. of Nicotine. Shop now with even lower prices. Ezee Fun disposable e-cigarette comes in 6 refreshing flavours of Energy Drink, Liquorice, Champagne, Cappuccino, Pina Colada and Apple - All with zero nicotine. Up to 400 puffs, equivalent to approx. 40 cigarettes. Shop now with even lower prices. By clicking at the link below, you will be redirected to the Ezee Energy webpage. Just do you shopping and in the basket the 15% already deducted. Nice and Ezee..
Do you work in or with retail, restaurant, entertainment or anything else, where you wish to increase your earnings with UK's best e-cigarettes? Then send us a message by clicking here and we will contact you as soon as possible. Ezee e-cigarettes are sold both with and without nicotine. 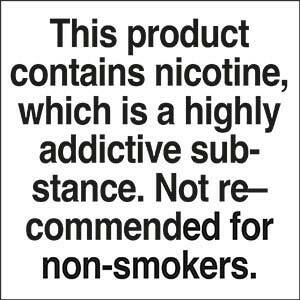 For products with nicotine, the strength of the package is shown, along with other statutory warnings. No, Ezee e-cigarettes do not contain harmful substances such as "diacetyl" or any other substances mentioned in the press. Nor is the battery so powerful that it can explode in your hands. There's no other e-cigarette like Ezee. We've perfected the traditional taste of tobacco and menthol cigarettes and packaged it in a perfectly weighted, elegantly designed e-cigarette. Combine this with the four different levels of strength and we're confident you won’t find another e-cigarette on the market that offers a better alternative to traditional cigarettes. My name is Jes and I've developed the Ezee e-cigarette which both taste and feels like a real cigarette. 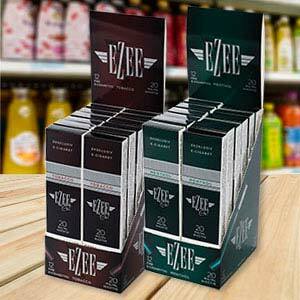 You can buy Ezee as either disposable or rechargeable e-cigarettes with tobacco and menthol flavour. We have no tricky subscriptions or anything hidden in small print - you simply order and smoke - whenever it suits you. 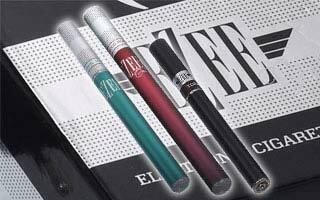 According to our customers Ezee is the best electric cigarette available. Here at Ezee-e, being the inveterate smokers we are, we have made it our mission to be able to offer the best e-cigarette on the market. An e-cigarette that looks and tastes like a real cigarette. An e-cigarette that feels like a real cigarette, but which doesn’t contain the many harmful substances found in regular cigarettes. At Ezee-e, we don’t sell heaps and heaps of different e-cigarettes. We sell strictly our own products, since after several years of searching, we discovered that the e-cigarette we were looking for simply didn’t exist in the market. It does now, and we would like to share it with you. At Ezee-e, we simply offer you the easy alternative to the harmful cigarette. We offer you an e-cigarette, which, we can guarantee, is among the very best in the market. An e-cigarette, where you don’t have to sacrifice either taste or looks. We like to smoke. We like the taste and feeling of smoking. Therefore, we give you an e-cigarette that both tastes and feels like a real cigarette. We offer you an e-cigarette that has that characteristic cigarette taste, and which gives you that familiar draught in your throat when you inhale. The difference between regular cigarettes and our e-cigarettes is simply that you avoid inhaling the many harmful substances you find in regular tobacco smoke. This is because our e-cigarettes contain no tobacco, but instead liquid nicotine that evaporates in the e-cigarette. Our two most popular products are: Ezee Go' Disposable e-cigarette and Ezee' Rechargeable e-cigarette with filters. – precisely as with the real thing. These 2 varieties come in 3 strengths: 0 mg, 12 mg, and 20 mg, so you can choose the nicotine level in your e-cigarette for yourself. It couldn’t be easier! Our e-cigarettes are of high quality and look like real cigarettes. In simple terms, Ezee e-cigarettes consist of a battery, an atomizer, and a filter containing nicotine liquid. When you inhale through your e-cigarette, the atomizer heats the nicotine liquid in the filter, forming a steam reminiscent of the smoke we know from cigarettes. Thus, with Ezee e-cigarettes you get the familiar feeling of smoking regular cigarettes. You get an elegant and beautiful e-cigarette that tastes just like the traditional cigarette you know and love – only without the harmful side effects. 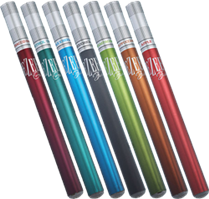 Ezee e-cigarettes come in disposable and rechargeable varieties. ’Ezee Go’ is for when you’re on the go, since – precisely like the regular cigarette – it’s a disposable product. Use and toss. As simple as that. ’Ezee’ and ’Ezee Style’ are both rechargeable e-cigarettes. A rechargeable e-cigarette is for people who don’t want to toss the battery after use and who would like to save money in the long term. The rechargeable e-cigarette is also for you who would like the option of switching between strength and taste in your e-cigarette, as you have the option of changing the filter. As former smokers, we are far from anti-smokers around Ezee. We simply want to help as many people as possible to a less harmful life of smoking. By choosing Ezee e-cigarettes as an alternative to regular cigarettes, you will soon find your breathing to be less labored along with increased energy for physically challenging tasks. In every way, you will have more energy to spare. And as if that wasn’t enough, energy isn’t the only thing you’ll have in abundance. This is because changing to Ezee e-cigarettes will pad your bank account as well. Welcome to Ezee! We hope you find just the e-cigarette that fits you and your needs. If you have questions about our products, we are ready to help through our contact form here on the website.